In the fall of 2014, something unique happened: for the first time in a decade Americans stopped volunteering. Said more optimistically, the volunteer rate across America began to decline. According to the Corporation for National and Community Service; who monitors volunteerism throughout the country, the volunteer rate in 2013 fell to 25.4 percent, compared to 29 percent of the population in 2003. When asked why volunteerism had been declining for 10 years, this statistic, provided largely by the Corporation for National and Community Service, a government agency who also sponsored the report, declined to comment. Could it be they did not know why? Was something overlooked during their painstaking efforts? People come to volunteer for a variety of reasons. Often, people relate to an agency’s mission or services to a particular community. However, one thing is certain; to work for what can be deemed “free” is a self-less act that rewards both the volunteer and their chosen cause. 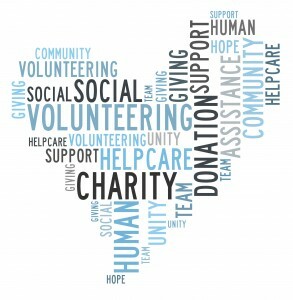 The importance of volunteers particularly to non-profit organizations is invaluable. Though the dedication and commitment of volunteers, agencies are able to increase their mission and services to larger communities while cultivating prospective donors. A monetary number is computed based on a volunteer position and the median pay rate for that position. Volunteers contribute so much more. 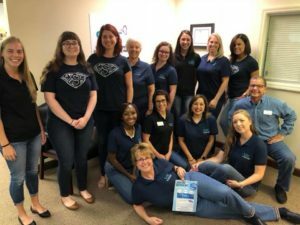 When a cash-strapped agency is planning a fundraising gala or in need of silent auction items, it is largely a core of dedicated volunteers who come to their rescue! Multi-national corporations have created volunteer programs within their human resources departments to encourage volunteerism. Employees oftentimes are eager to participate to “give back.” With evidence of volunteerism and employer programs, why is the rate declining? Perhaps personal preference or maybe people are volunteering in new and innovative ways. Some employers have transferred responsibilities of volunteer programs to their community relations department. Some people may volunteer via their church, child’s school or online. Maybe the volunteer rate isn’t declining but trending in a new way. Have you ever collected used items for a cause? Raised money to later donate? Went door-to-door to inform your community? These are all ways people are indirectly volunteering! Volunteers are a source of respect, humility, and effectiveness. Interest in an agency’s volunteer program can relay the message that people appreciate their work. A reliable volunteer database proves an agency’s work will forever continue! Share your feedback via our Facebook or Twitter: VSCFlorida. For more information on Victim Service Center or Central Florida and/or becoming a volunteer, visit www.vicitmservicecenter,org or call (407) 254-9415.